Me and the kids have been busy in the kitchen today making up some very cute little rice krispie marshmallow Christmas puddings! 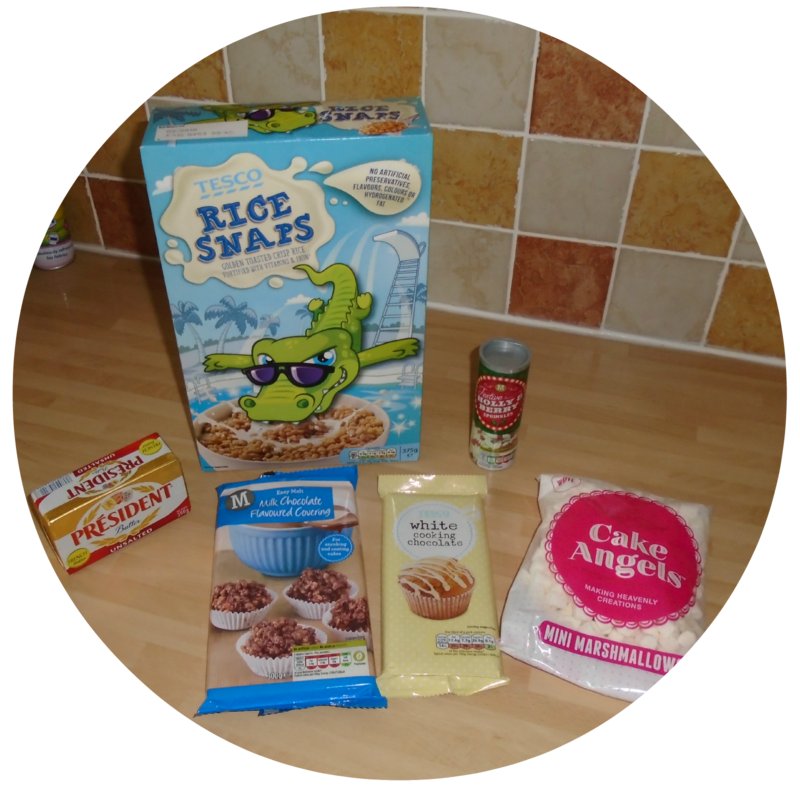 They are really easy to make so even the kids can get involved in making them, they require no baking and minimum ingredients here is how we made them. - Decorations for the top (optional). Start by melting 3-4 tablespoons of butter slowly, use a large pan as you will need the room to add the rice krispies later. Once the butter has melted add in the marshmallows and gently heat stirring occasional to ensure the butter encorporates with the marshmallows. Once they are all melted you should be left with a smooth thick slightly sticky marshmallow mixture. Leave your marshmallow mixture to cool for a few minutes and then add in your rice krispies, I added mine a cup full at a time until I reached my desired stickiness so add your slowly until you are happy with the consistency. Remember you need them to be sticky enough to form balls. 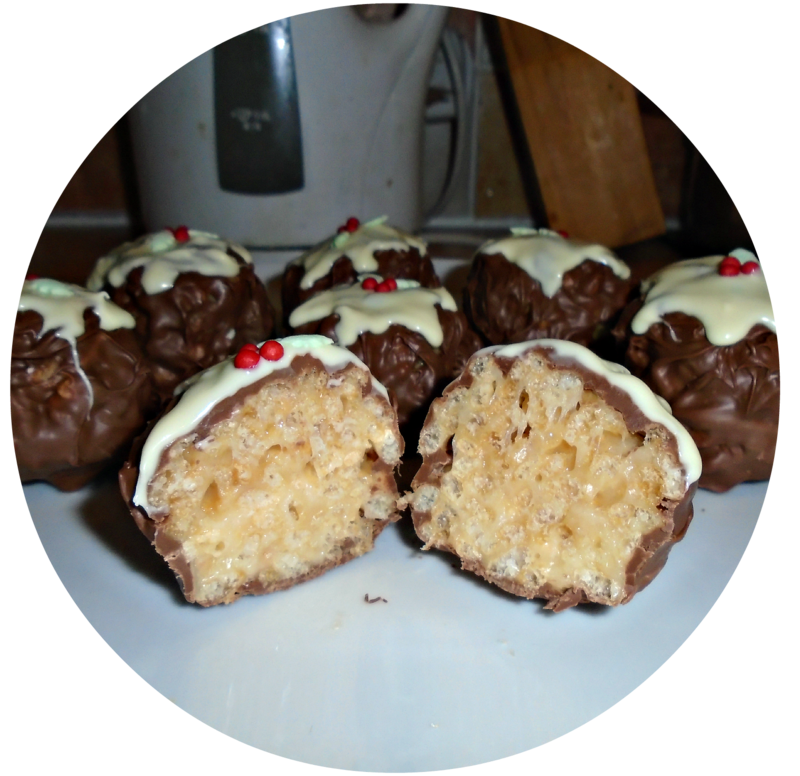 Leave the mixture to cool slightly then form balls from the mixture, you can make them as big or as small as you want I went for smaller palm sized ones perfect for the kids. Now set these aside to cool. Next take your milk chocolate and melt in the microwave (be sure to keep an eye on it and stir regularly as you don't want it to burn). 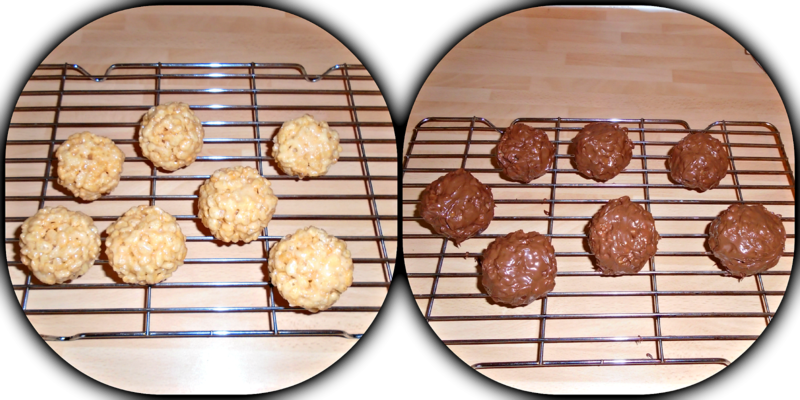 Carefully dip each ball in to the melted chocolate removing any excess with your fingers. Place in the the fridge for around 30 minutes for the chocolate to harden. Finally melt the white chocolate in the microwave (again being careful not to over do it) and using a teaspoon (or piping bag if you have one) place a small amount of white chocolate to the top of your chocolate balls and allow it to run down the sides slightly. Once the chocolate has begun to set (but before it completely hardens) apply your decorations to the top, I chose these holly and berry sprinkles from Morrisons which were under £1 for mine! Do let me know how you get on if you have a go at these! 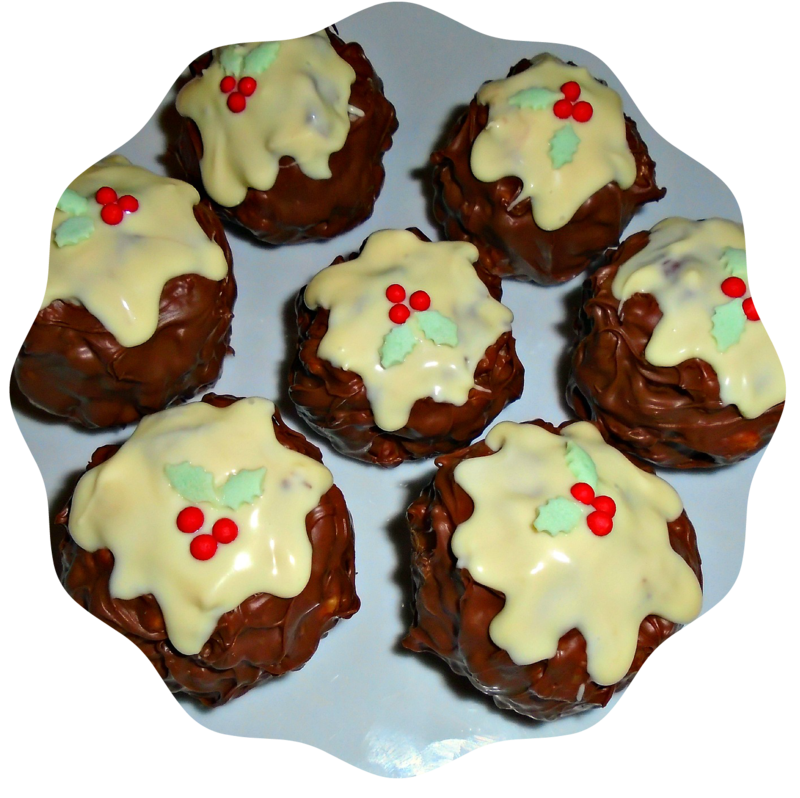 Do you have a favourite sweet treat you bake at Christmas? These look perfect for Christmas. 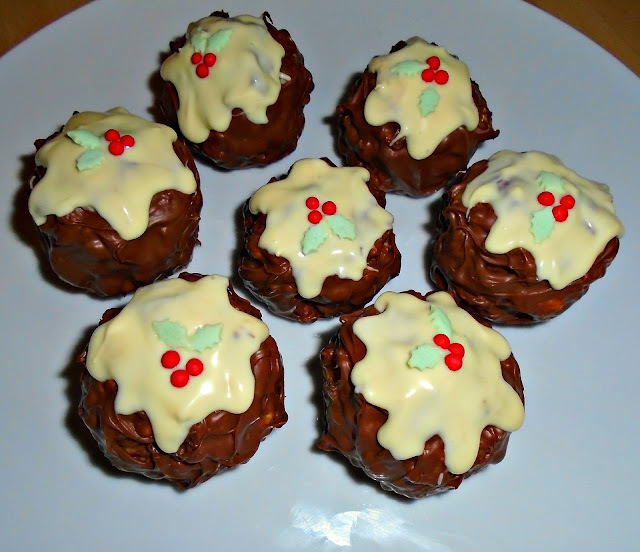 Love this idea and I especially love how easy these look to make...my favourite way! You have made them look so festive and pretty. I think I will give them a try with the kids over the school holidays. This looks delicious and so easy to make. We only really bake traditional biscuits. the so 10 months old and 3 year old I don't really get time to bake to its fullest. they look delicious, I will add this to our to make list next week once they have finished school!